You told us there weren’t enough plugins in our listing. That there were no free plugins. You said there was too much marketing in the images. That they were spammy even. We listened carefully and thanked you graciously for taking the time to send us your thoughts. We stripped the marketing images out of the plugin listing and added beautiful category icons from Dutch Icon. We wrote new, concise descriptions of each plugin and put the prices on display, up front. You can now filter by free or paid plugins and you can search. We built in the ability to add free plugins. 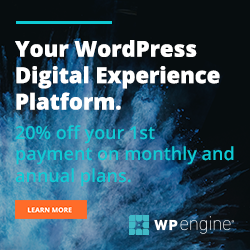 Free plugins hosted in the WordPress.org repository, are downloaded and installed from WordPress.org the same way as the “Add Plugin” page in WordPress. We carefully selected great free plugins from the WordPress.org repo that meet our quality standards. They are either plugins we’ve used ourselves, coded by respected WordPress developers, or have been endorsed by people we trust. We will gradually add more free plugins going forward, but we would love it if you would tweet us your suggestions as well. Or just drop them in the comments below. We built in the ability to add multiple packages per product. Publishers can now offer free and paid packages for a single plugin. Take a look at WP Email Capture and Wysija Newsletters as examples. We now have a plugin listing that is much nicer to browse (and search!). Our goal is to be the destination to find all the best plugins available for WordPess. Thanks to your feedback, these enhancements are a big step in that direction. We still have plenty of work ahead of us though. To help us prioritize what we work on next, please give us your two cents in the comments below. What would make WP App Store better for you?